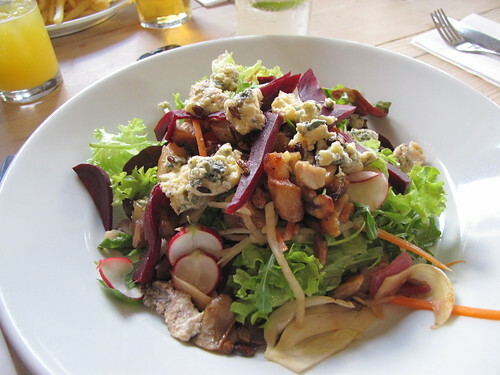 Chestnuts, beetroot, blue cheese and jerusalem artichoke warm salad, originally uploaded by Mockduck. Nom nom nom, I just had to blog this. Beforehand I was wondering whether gastropub the Sussex Yeoman catered well for vegetarians. I think we can conclusively say they do.